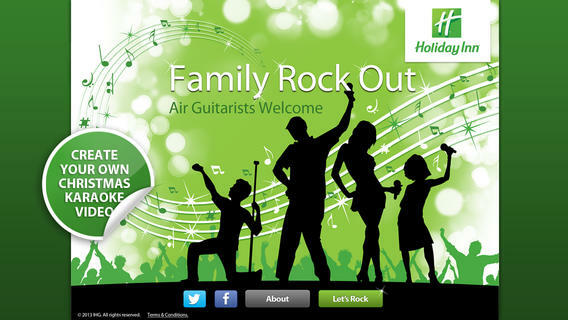 Family Rock Out is the new iPhone and iPad app, available tomorrow that allows you to spread the holiday spirit to families and friends. With Christmas around the corner, this is the perfect app to notify yourself to download. Pick your favourite Christmas jingle and theme, hit “record” to make a video, and Rock Out to your family and friends. In addition, Holiday Inn Hotels are offering one lucky users of this new app the chance to win £1,000 worth of shopping coupons! Enter the competition before December 18 to experience this holiday season like never before! Download, win big, and share jolly memories with the ones you love.